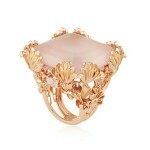 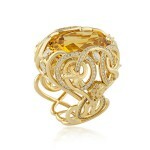 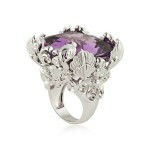 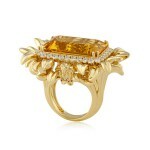 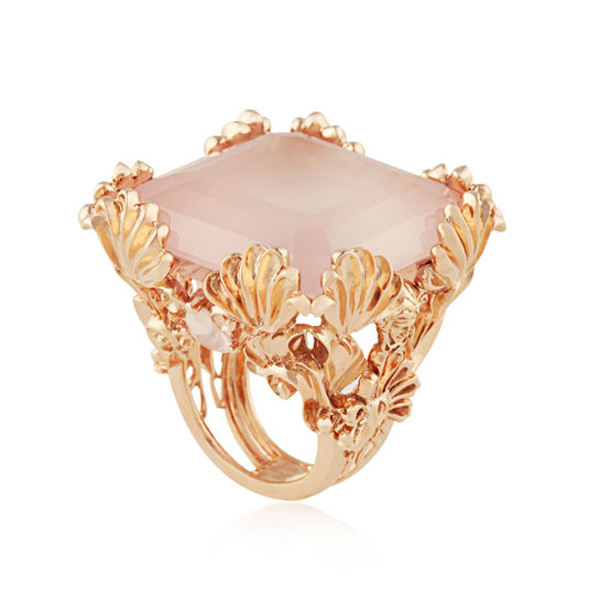 Versace presented the Atelier Jewelry rings collection during the fall winter 2012-2013 Paris fashion show. 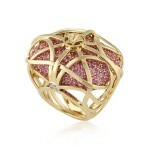 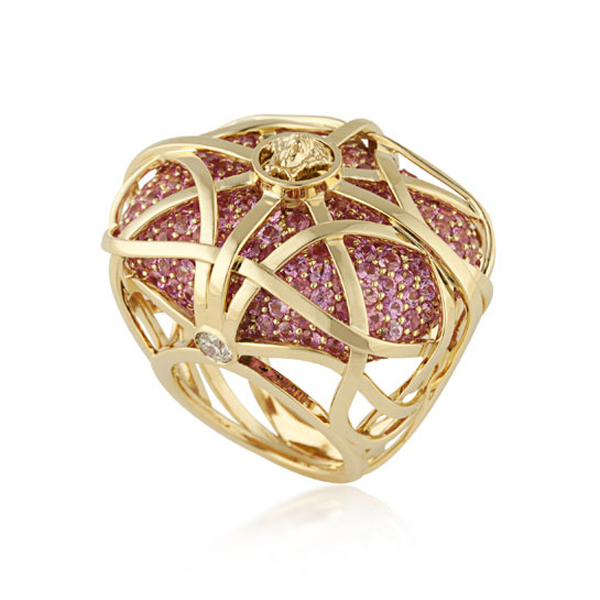 As usual, it didn’t disappoint it devotees by featuring the striking jewelry pieces. Versace Atelier jewelry collection includes 16 hand-made pieces featuring stunning gemstones like white and yellow diamonds, emeralds and amethysts. 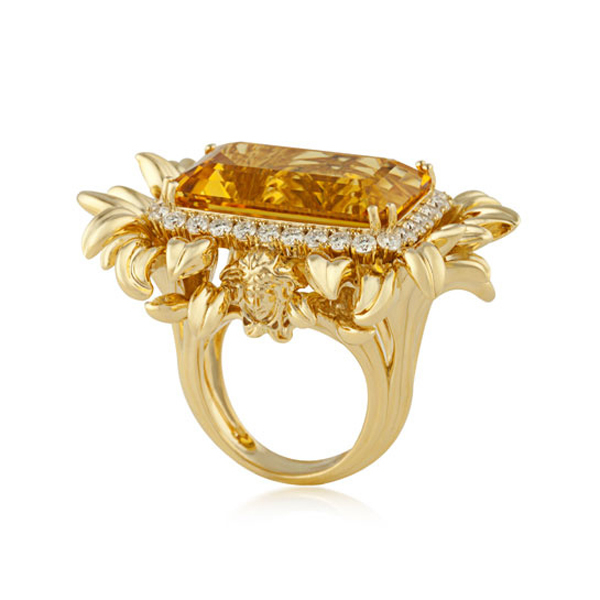 Unfortunately, the collection won’t be available for the retail sale, only by the appointment as it will become the part of the brand’s fine jewelry line first created by Giani Versace back in 1994. 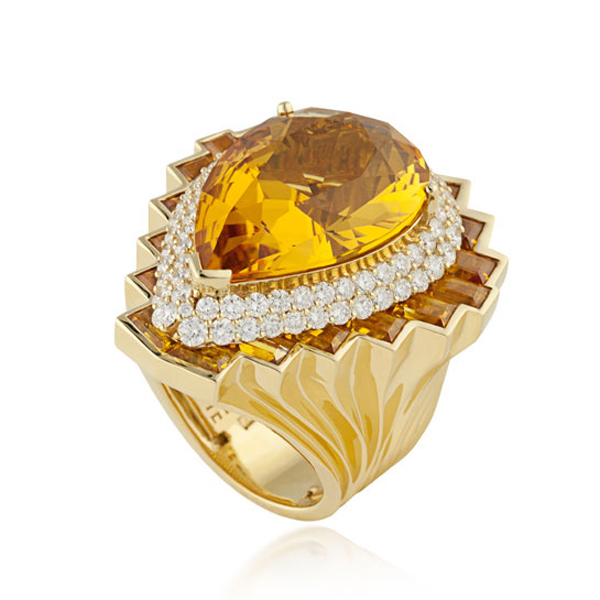 Versace Atelier fall winter 2012 jewelry collection.